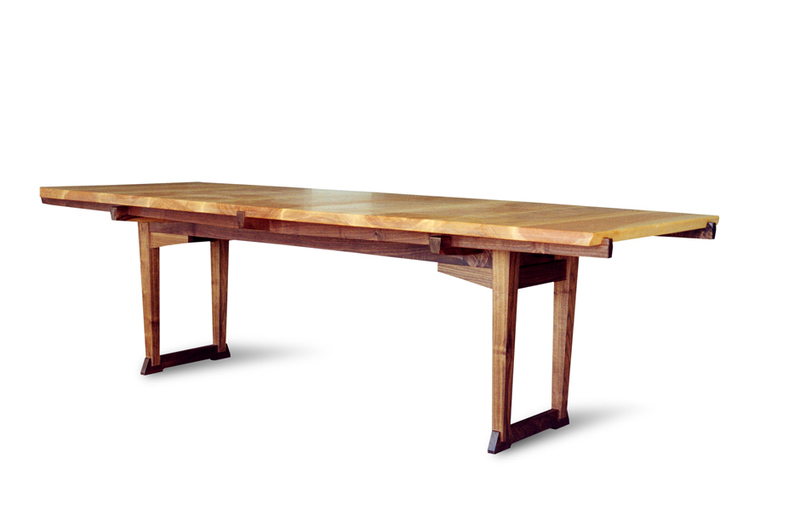 The grain goes across this substantial table, causing its length to fluctuate by almost an inch across the seasons. The long sliding dovetail does its job, and the hefty load of the 2 thick top steps down to the floor. This structure is a hybrid between a pedestal and a frame, with the four legs set back for free knee movement.